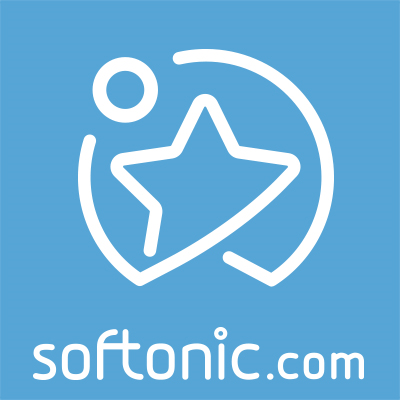 Login into Skype with multiple Skype and Microsoft/MSN accounts. You are signed-in with multiple Skype and Microsoft/MSN accounts at the same time. 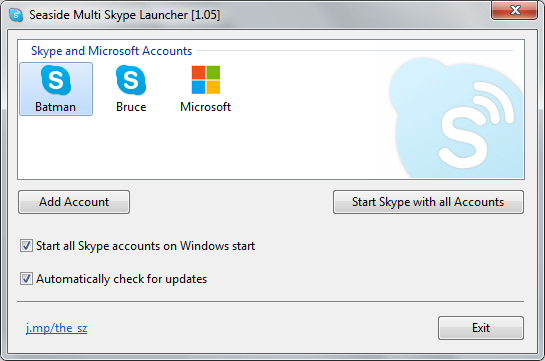 When Windows starts, for each of your configured accounts one Skype application is started and automatically logged in. Seaside Multi Skype Launcher run multiple Skype instances on the same computer simultaneously. You can configure as many Skype accounts as you want. MakeUseOf.com wrote a detailed article about Seaside: Have Multiple Skype Accounts Open On The Same Computer. Here is a review from Techglimpse: How to Use Multiple Skype Accounts simultaneously on Windows? !.